Gone are the days when hacking someone’s Facebook account was an impossible task. For now, there is much vulnerability in the social network platform that can be exploited to hack into any user’s Facebook account. From the tools available online to dedicated third-party applications, one can try different ways to hack a Facebook account. 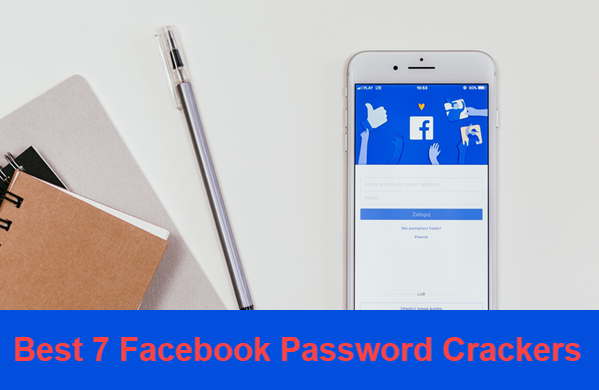 In this post, we will familiarize you with the best Facebook password crackers for your convenience. Please note that you will bear the responsibility by yourself! This is one of the best apps to hack someone’s else Facebook password. The credential data of the targeted user can be accessed at one go by using its advanced Key registration feature. Other type of data can also be accessed by using this app like location data, call records data, contacts, messages, multimedia and much more of the targeted phone. You can track any data record which you want to. A web-based dashboard that can be accessed at any time anywhere. It has an advanced key registration feature to capture passwords. Deep details regarding the activity on Facebook. Works with all popular social network applications. You can take screenshots of the device remotely. The application tracking feature only works on Android devices. This is basically a website which is designed for those users who running short of storage space in their smartphone and don’t want to install any third-party app in their phone which may occupy extra space. So, those users can use this website to hack the Facebook password of targeted phone. Users simply need to provide the Facebook ID they want to hack. It does not provide reliable results. This app is one of the most trusted app in this segment. Users are using this app from past many years and it is quite popular among the people who uses these kinds of stuffs. The key registration feature will able you to trace the Facebook password of targeted phone without letting them know. It can be used to track social networking activities in other applications. Has an advanced key registration feature. It can also. Track the location of the cell phone. Users need to install the application on the target device. Sometimes the application does not open in hidden mode and is detected by the target user. This is an advanced Facebook password hacking tool that is a very handy tool to track and trace all the data of different social applications like Facebook, Instagram etc. This will allow to track full time access of user’s activities. This app is having a user-friendly interface which makes it a much better choice for the users. Works in hidden mode and will not be detected by anyone. The application has an advanced key registration feature. A web-based dashboard that can be accessed remotely. Sometimes, the application stops working from nothing. Another app of this segment is iKeyMonitor. This app is so developed to spy and track all the data of the targeted device like call records, contact details, social activities, gallery access etc. You can also take the screenshot of the targeted device whenever you want to. You can also hack the Facebook password of the targeted user’s account at an ease. Has advanced key registration features. Provides deep session details related to various features. While the tool has many features, it does not meet the espionage needs of many parents. It has limited web filter characteristics or no blockages. This is an online tool which is available for free to all users. You can enter or hack into anyone’s account just by having Facebook ID. You need not have to download any third-party app from different source in your smartphone. But you have to complete some surveys to see the final results you want to. No need to download third-party tools. Only the Facebook ID of the target user is needed. This is one of the most powerful spying apps which is used by the users at a large scale across the globe. Flexispy is very handy to hack anyone’s Facebook account password without letting them know in anyway. But the main negative point of this app is that you have to install this application in the targeted application. One it is installed, you can access any data you want to extract from the targeted device. Provides the real-time location of the device. Works with many social network applications including Facebook. The hidden mode seems not to work well sometimes. Want to know more tips & tricks about Facebook, like how to find who viewed your Facebook profile, and how to recover deleted Facebook messages on Android? Feel free to tell us by leaving a comment.